I like audiobooks because they allow me to keep up with my favorite author's new release or even try a new genre that I would never hold in my hand. For example, I cannot get past five chapters of the Harry Potter book when it first came out. However, Jim Dale was a great company when I was crocheting or knitting baby blankets. I listened to the whole Harry Potter series twice in audio, but I hadn't read the book. If you think that an audiobook will make you fall asleep while listening, then you should be doing something else while listening. It's a good company when gardening, walking, exercising, or traveling. 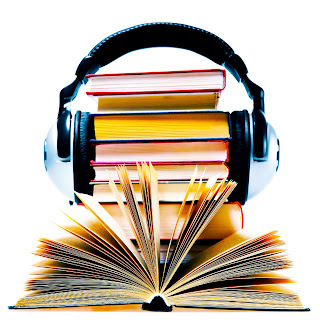 As an added bonus, if you are still not convince that audio book is for you, you can try a few at audio books free online. My friends overseas like to get their audiobooks for free. I am glad to say that my children loves audio books. They started listening to Unfortunate Events Series, then have listened in on some parts of the Stephanie Plum series, Lee Child's Jack Reacher series, and recently, Justin Halpern's Sh*t My Dad Says. That was a hilarious book, and I think it might be available for free, but I am not sure because I had gotten my copy from my local library.